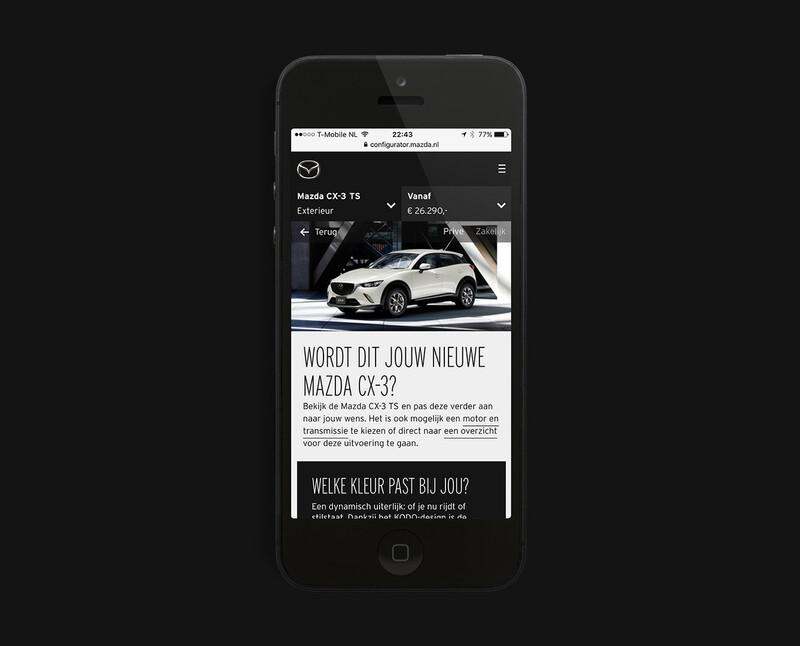 Between 2014 and 2015 Mazda launched their new range of beautiful cars. 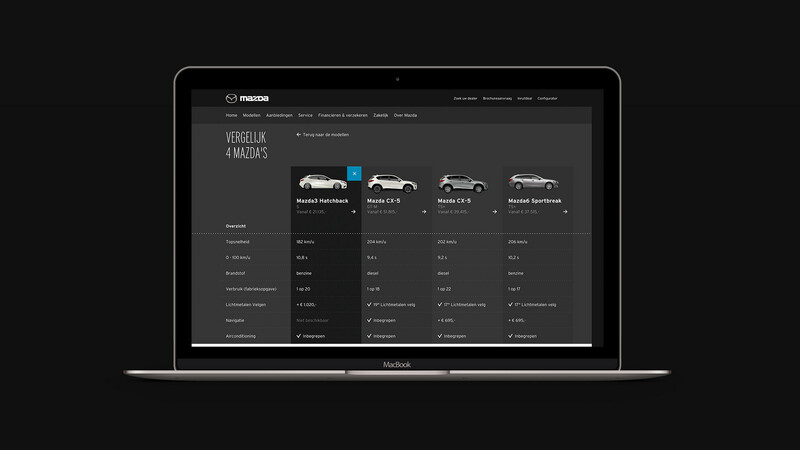 To complement these cars Mazda Motor Netherlands asked us to come up with the next gen car configurator. 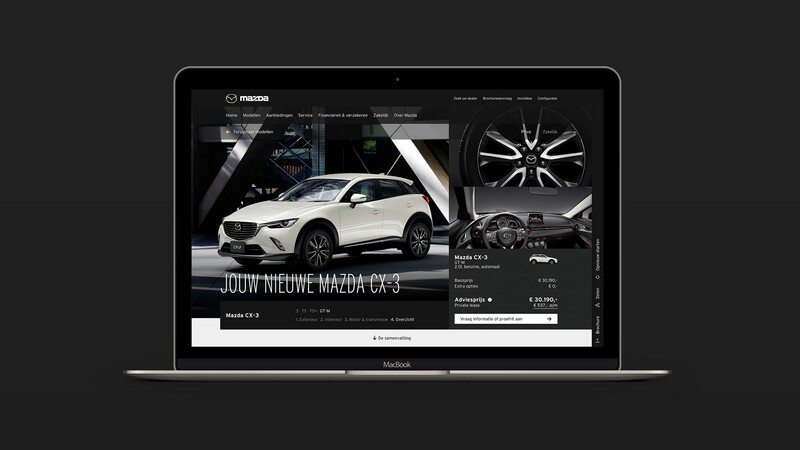 In December 2015 the website was launched to the public. Within weeks the results showed a growth in the number of people who converted into possible leads.